It's the time of year we tend to think about gifts and candy, and gifts of candy. A Mayo patient had something a little different in mind when she thought about how to show her appreciation for the folks in Mayo Clinic's Division of Nephrology and Hypertension who have cared for her for years. 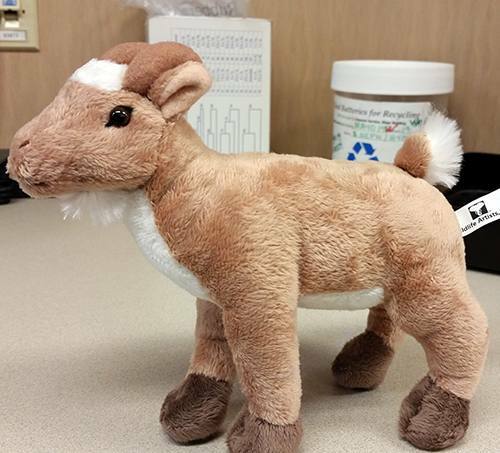 In early November, a longtime patient of Gary Schwartz, M.D., arrived for her appointment bearing an unorthodox gift — a stuffed toy goat. A note accompanying the goat explained the significance of the stuffed animal. "In appreciation of your concern and excellent medical care, you are now the proud owner of a goat," the patient wrote. "It causes no destruction and requires no care. I have donated the perfect gift in your honor." That "perfect gift" was a donation to Heifer International, a nonprofit that works to end hunger and poverty one goat, pig or chicken at a time. The organization's website explains that donating an animal "is like giving someone a small business, providing wool, milk, eggs and more. Animal donations can provide families a hand up, increasing access to medicine, school, food and a sustainable livelihood." Cami McElmury, supervisor of clinical operations in the division, tells us she and her staff were "so proud that something done in their honor was helping someone else." She also tells us the goat has become "a very hot topic of conversation" in her work unit. They've posted the thank-you note and information about Heifer International on a staff bulletin board, and placed the stuffed goat — whom they've dubbed "Scrappy" — on a shelf to watch over them as they work. Rhonda Sveen, a clinical assistant on the unit, says it was "overwhelming to learn a patient was so grateful that she gave us a gift like this." 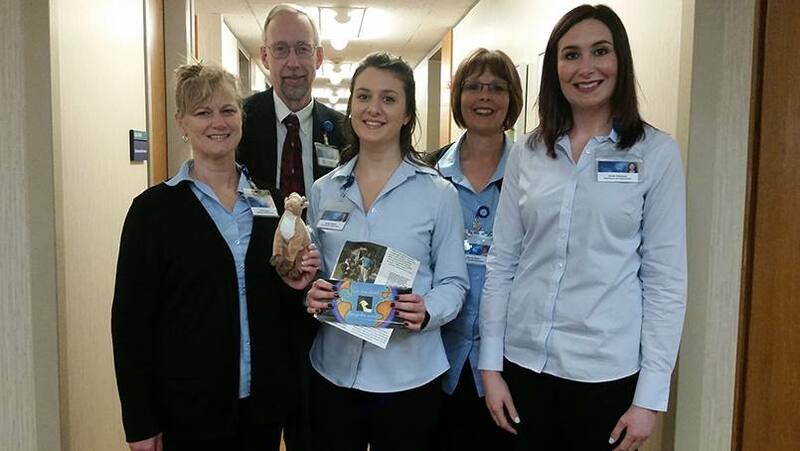 Knowing the gesture was so well-received was a gift back to the patient, who has given animals in honor of important people in her life for more than 20 years. She hoped the goat would bring joy and laughter to "a group that tries so hard to please others and to be compassionate." Mission accomplished, says Dr. Schwartz. He and his colleagues were touched by the "meaningful and thoughtful way to express gratitude for care and service at Mayo." If you're looking for that perfect gift for someone in your life, might we suggest a flock of geese, some honeybees or even a water buffalo? (All available, of course, through Heifer International.) Then give us a gift by leaving a comment below and by using the tools atop this page to share this story with others.